Facebook has integrated a new feature into its mobile apps and website, which allows users to spot nearby pals, or easily make friends with people they've just met. The Find Friends Nearby page uses GPS coordinates and shows other people currently visiting that 'meeting room,' whether you're already friends with them or not. Non-friends will be listed in an 'Others' section. Of course there's the immediate assumption that the tool could be used for people to stalk random revellers in bars, but anyone on the Find Friends Nearby page is looking to be found anyway. The feature has not been officially launched yet, but TechCrunch reports that it's available to use for those seeking it out. 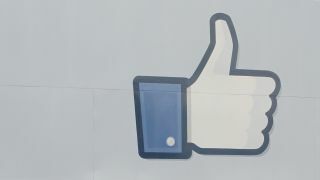 After publishing the story, TechCrunch received comments from the Facebook developer who built the project, Ryan Patterson. He said: "This particular product uses geolocation to find your GPS coordinates when you are on the page. Everyone who is visiting the page within a radius around your coordinates at the same time as you will be listed. Once you leave the page, you stop showing up on others' lists. "For me, the ideal use case for this product is the one where when you're out with a group of people whom you've recently met and want to stay in contact with. "Facebook search might be effective, or sharing your vanity addresses or business cards, but this tool provides a really easy way to exchange contact information with multiple people with minimal friction." The innovation comes months after Facebook purchased the Glancee app, which is geared towards helping people find those with similar interests to their own. It's unclear whether this tech has been involved in creating Find Friends Nearby.